The term ‘use it, or lose it’ is a commonplace statement these days, particularly in senior circles. It can mean any number of things from taking regular exercise to learning new things. It is the largest brain of all vertebrates relative to body size. It makes up about 2% of your body weight. The cerebrum part of your brain makes up 85% of your brain’s weight. The neurons are connected by trillions of connections, or synapses. 10 years ago, in March 2009, an article in Scientific American caught my eye and held my attention. It was titled: ‘How To Save New Brain Cells’ and was written by Tracey J. Shors. She had my attention straightaway as I read her opening text: Fresh neurons arise in the adult brain every day. New research suggests that the cells ultimately help with learning complex tasks—and the more they are challenged, the more they flourish. She explained that the brain can grow new neurons. That’s good news but the bad news is that they disappear unless cognitively challenged. Apparently, fresh neurons arise in the brain every day and research carried out, albeit mostly on rats, indicates that learning enhances the survival of new neurons in the adult brain. Here’s the really exciting bit: the more engaging and challenging the problem, the greater the number of neurons that stick around. These neurons are then available to help in situations that tax the mind. This is a case where the more taxing there is, the better you can become. Apparently, in the 1990s, scientists awakened interest in the field of neurobiology with the startling news that the mature mammalian brain (every human has one) is capable of sprouting new neurons. Previously, biologists had long believed that this talent for neurogenesis was reserved for young, developing minds and was lost with age. Now we know that new cells do arise in the adult brain—particularly in a region called the hippocampus, which is involved in learning and memory. It may surprise people to know that in rats, between 5,000 and 10,000 new neurons arise in the hippocampus every day. With humans, we do not know how many. The new cells are not generated like clockwork but can be influenced by a number of different environmental factors. For example, alcohol can retard the generation of new brain cells, whereas exercise can increase the rate of production. But don’t get too excited. 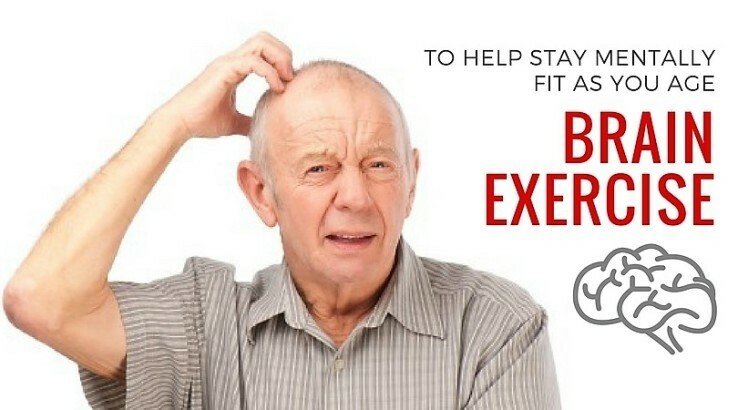 Yes, exercise and other actions may help produce extra brain cells. But those new cells don’t necessarily hang around – most will disappear within just a few weeks of creation. We already know that most cells do not survive indefinitely, but their quick demise is a bit of a puzzle. After all, why would the brain go to the trouble of producing new cells only to have them disappear rapidly? The answer seems to be that they are made ‘just in case’ – if your brain is cognitively challenged, your new brain cells will hang around but if your brain is in limbo, the new cells simply fade away. David Christian wrote on Delanceyplace on 10th October 2018 that humans have big brains which are unusually large relative to their bodies. Not only that, the top front layer of the brain, the neocortex, is gigantic. In most mammal species, the cortex accounts for between 10% to 40% of brain size, whereas in humans it can be as much as 80%. Next time you’re feeling down in the dumps, remember this: humans are exceptional for the sheer number of their cortical neurons. They have about fifteen billion, or more than twice as many as chimpanzees (with about six billion). Whales and elephants, who are the next in line after humans on the most-cortical-neurons list, have about ten billion cortical neurons, but they have smaller brains than chimpanzees relative to body size. Having a large brain means you have the potential to acquire, store, and use information about the things that are going on in your world. I know what you’re going to ask: Aren’t big brains obviously a good thing? Not necessarily, as they guzzle energy. They need up to twenty times as much energy as the equivalent amount of muscle tissue. In humans, the brain uses 16% of available energy, though the brain is only 2% of the body’s mass. Our brains need energy to manage the dexterity in our hands and feet. In processing images, the brain uses a large share of available energy. Two scientists are the first to successfully allow one human brain to communicate an intention directly to another human brain. Technologies known as brain-computer interfaces (BCIs) are now beginning to allow paralyzed individuals to control, say, a computer cursor or a prosthetic limb with their brain signals. The scientists began to wonder if the same principle could be used to beam thoughts from one human brain to another. They decided to test their brain-to-brain interface by seeing if they could play a simple two-player video game. It worked – for the first time, a human brain had communicated an intention directly to another human brain, allowing the two brains to jointly complete a task. People keep making new brain cells throughout their lives (well at least until the age of 97), according to a study on human brains conducted by researchers at the University of Madrid. It’s an idea that has been fiercely debated as it used to be thought we were born with all the brain cells we will ever have. But the research showed that the number of new brain cells tails off with age and falls dramatically in the early stages of Alzheimer’s disease. Most of our neurons (brain cells emitting electrical signals) are indeed in place by the time we are born. Whilst studies on other mammals have found new brains cells forming later in life, the extent of “neurogenesis” in the human brain is still a source of considerable debate. The study, published in Nature Medicine, looked at the brains of 58 dead people who were aged between 43 and 97. The focus was on the hippocampus – the part of the brain involved in memory and emotion. It is the part of the brain that you need, to remember where you parked your car or put your mobile phone or car keys. For years, we assumed that cognitive performance declined substantially as a part of normal aging. But recent research suggests, in fact, that is not the case. It is true that individuals with abnormal brain function who end up going on to get dementia show decline in cognition beginning as early as in their 40s and the decline during later life can be steep. But for those with normal brain matter, function, and activity, the average person does experience cognitive decline but there is potential for this to be quite modest. As we age, learning new, novel information takes a bit more effort and time than earlier in life, but our foundation of knowledge and wisdom is far greater allowing us to understand a deep level of complexity about subjects we know well. So, what can we do to greatly reduce decline whether it be due to impending pathology or normal aging? At present, there are no drugs to prevent you from getting Alzheimer’s disease. But there is quite a bit of evidence that lifestyle greatly modifies the downward trajectory of cognitive performance as you age. There is a significant decrease in cognitive performance that comes with retirement, which researchers suggest is because when we stop engaging in cognitively complex tasks, the brain is no longer challenged enough to maintain cognitive function. It has been proposed that retirement is problematic because it results in a shift in environment in which we are no longer using our brains at a high level on a frequent basis. Source: A Big History of Everything, Author: David Christian, Publisher: Little, Brown, Pages: 158-160. Source: When Two Brains Connect, Authors: Rajesh P.N. Rao and Andrea Stocco, Publisher: Scientific America Mind, November/December 2011, Pages: 36 to 39. Excerpted from an article by James Gallagher, Health and science correspondent, BBC News, 25 March 2019.